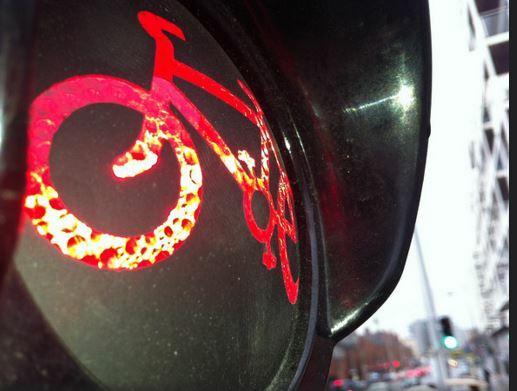 Around 400 fines were issued to people committing road traffic offences while cycling bicycles in the last four and a half months, transport minister Paschal Donohoe told RTE Radio One this morning. On-the-spot fines or “Fixed Charge Notices” for a number of cycling road traffic offences were introduced on July 31 last. Before that date Gardai officers had to issue court summons to suspected offenders, and suspects and the officers would then have to appear before a district court judge. There was no option of paying a fine without going to court. It was previously reported that 244 fines were issued in the first two months of the new system. If the minister’s figures are correct, around 155 fines were issued in the two and a half months since then. The minister was speaking on Today with Sean O’Rourke show on Radio One, which was covering general road safety issues relating to the release of a “provisional end of year review of road fatalities” by the Department of Transport. The minister did not respond directly to the question of high-vis wearing, but here is no legal requirement to wear high-vis in Ireland or any other European country, and the countries with the safest cycling records have very low use of high-vis. “In relation to enforcement, which you just questioned me about Sean, I made a change early on in the year that seven particular offences that Gardai will then have the ability to issue a fine for people if they issue a fine for people if they commit an offence. One of the key ones is not using lights on a bicycle, not having them on when things are dark in the evening or early in the morning,” said minister Donohoe. Cyclist proceeding beyond a stop line, barrier or half barrier at a railway level crossing, swing bridge or lifting bridge, when the red lamps are flashing. For other offences Gardai can still choose to bring people to court. I believe Sean O’Rourke on his radio show commended the participants in Operation Transformation for wearing hi-viz … while participating in an organised walk in a park. A pity that it had to be 9 unfortunate people who cycle who lost their lives while out cycling in 2015 (to date 21 Dec). Doing an everyday activity trying to keep fit, reduce greenhouse gas emissions, reduce congestion and enjoying themselves only to be cut down in a collision. Of those 9 it is worth noting that in the case of 3, no motorised vehicle was involved. So 6 remaining were involved in impact with a vehicle and of those 4 were out riding in a group (TBC). It’s a pity the RSA/Garda can’t impart a little bit more information about the circumstances of these impacts. We need to get Volvo in on the act with their life-spray (or life paint, or whatever it called). Spray everyone and their granny from head to foot so that people in cars can feel less guilty if they hit someone not covered in the stuff. Sure what were they doing out and about in the dark anyway. As Rob Ford (Mayor of Toronto) so aptly put it, “my heart bleeds for them when someone gets killed, but it’s their own fault at the end of the day”.